Having an emergency on the road can be very dangerous, up to the point where it could be tragic. Therefore, when one calls for emergency towing services, the response has to be immediate, as it can save lives. When we talk about emergency towing services, the response should also be as quick as possible because when a customer calls for emergency towing service, we have to assume that the caller or someone else on scene has been involved in an accident and can be at risk. Take the residents of Anaheim, CA for example, whenever they need roadside assistance, including emergency towing services, they know they can always trust Towing Savers to be at their service ASAP. Towing Savers is a local Anaheim company. We’re proud of fostering and developing great and reliable relations with the local community, as we’re always available to take their call. 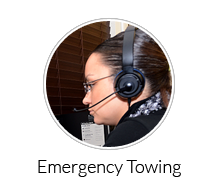 Our dispatch is manned day and night, all through the week, including weekends and holidays. But maintaining 24/7 availability for our customers across Anaheim and its surrounding area is just the tip of the iceberg of our fine level of service. 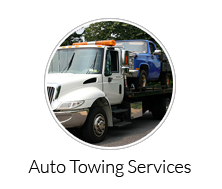 When you hire a local company to the job you enjoy several benefits, but the most important one regarding emergency towing services is the fact that our technicians are also locals, meaning they will arrive at your location within no more than 30 minutes from the time you’ve placed your call. 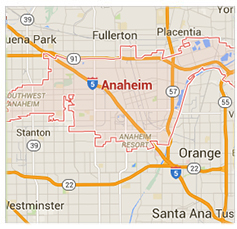 Our technicians are familiar with the city and its surrounding areas, down to every street, the rush hours, when and how to avoid heavy traffic, and what is the best and fastest route to get to your location, wherever you are in Anaheim. So whenever you call for our services, you can relax by knowing that the maximum ETA will be 30 minutes. Sometimes people mistakenly think that if they choose a local service provider, they have to settle for a lower level of professionalism. But that is so untrue. The level of professionalism is not derived from whether the company is local or a nationwide service provider – it only has to do with the standards that each company sets for itself. 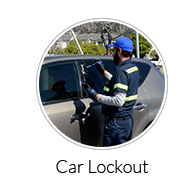 At Towing Savers we meet extremely strict standards of professionalism and service, and it is a team effort, since we, as a company make sure that our technicians will be equipped with the best tools and gear in the field of towing and auto repair, including buying new and strong tow trucks and maintaining them. Our technicians, on the other hand, are all licensed and experienced, and regardless of how experienced they are, they take part in periodic trainings that keep their knowledge sharp and updated. 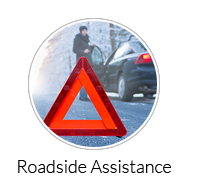 Additionally, we offer any roadside assistance service you may need. So if you got trouble with your vehicle in the city of Anaheim and its surroundings, just give us a call at: (714) 888-5525 and Towing Savers will be immediately on their way!